A great way to get started with Minute Movement is the five-week Quick Start. 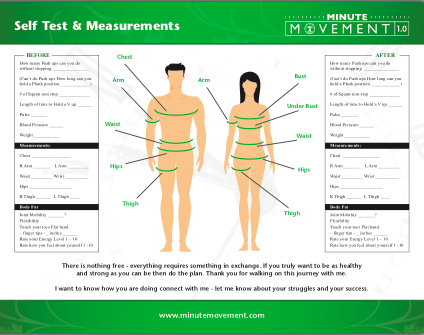 Complete with clear explanations of the Minute Movement program as well as tracking and measurement charts it’s everything you need to jump right in. Monthly members receive daily emails with movements and encouragement to keep you motivated. Includes access to a personal, private member page with streaming movements and exercise modifications; as well as access to all downloadable and online tracking and movement descriptions. Annual members receive daily emails with movements and encouragement to keep you motivated. Includes access to a personal, private member page with streaming movements and exercise modifications; as well as access to all downloadable and online tracking and movement descriptions. All of the benefits of the monthly membership with a savings of $71! 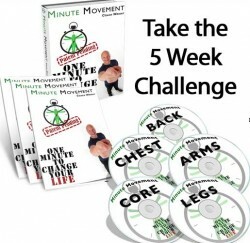 A full explanation of how to do Minute Movement, including the major muscle group exercises and modifications for the five week challenge. Includes streaming exercise coaching with modifications, and printable self test, reference guide and movement PDFs. 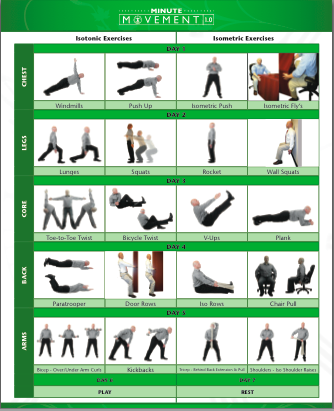 A durable, easy access chart containing basic Minute Movements and a handy reference guide. Use this handy downloadable self testing and measurement guide to record your progress. A great way to remember to Make Your Minutes Matter and inspire your friends and family to do the same. 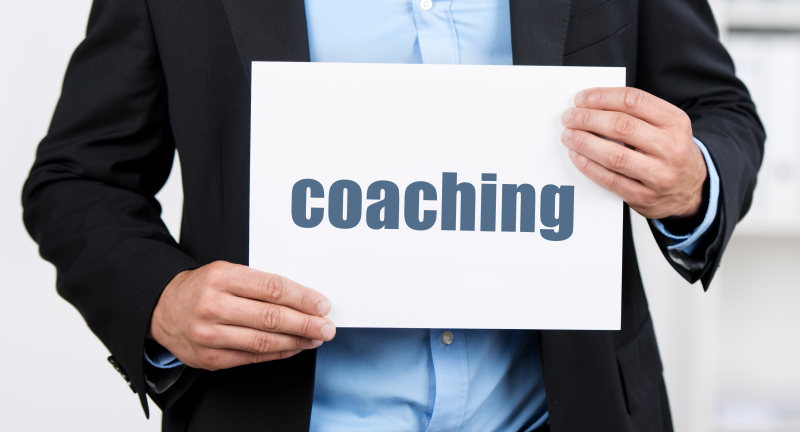 One hour of coaching with one of our certified coaches will help you focus on specific areas in your life that need improvement. This systematic coaching approach is designed to help you navigate your major life obstacles and Make Your Minutes Matter. Our certified coaches will work with you either online or by phone. 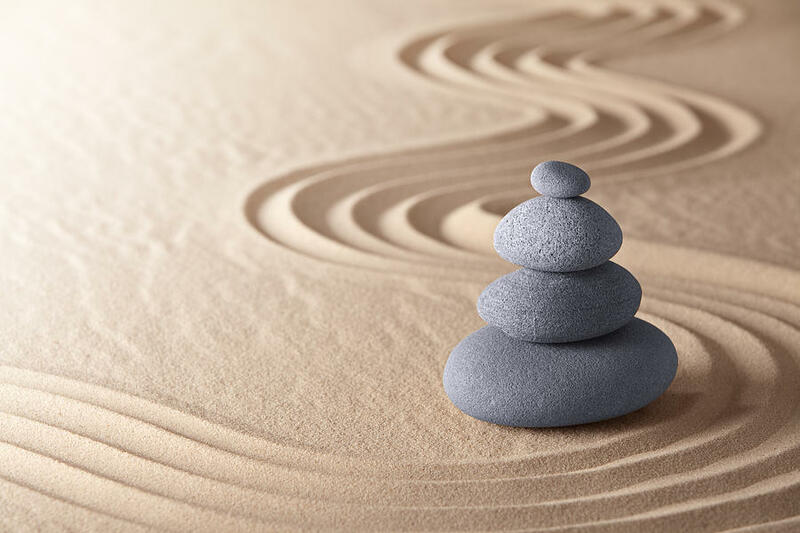 These 12 one-minute guided meditations designed to elevate your state of being through relaxation, gratitude, and love will quickly help you find the inner focus you need to succeed. Ken Howard, marriage and family therapist, will teach you how to interact with yourself and others more effectively. This straightforward online video course, based on Attachment Theory, will help you get to the heart of what’s blocking you. 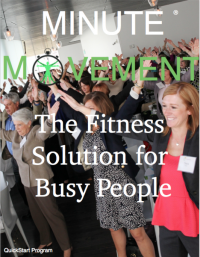 We are so confident that Minute Movement will work for you that we offer a 60-day no-risk, money-back guarantee. 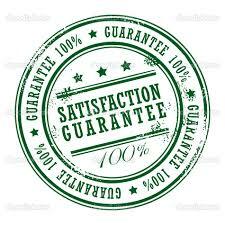 If, after 60 days, you are not completely satisfied with the Minute Movement program, we will refund your payment in full, no questions asked. Not only are my energy and happiness through the roof. I’ve been able to leverage the method to help me lose weight and I’ve also been able to quit smoking. My life has taken such a positive turn. I see myself sticking to this program. “My doctor said that I needed to get more exercise in my day. 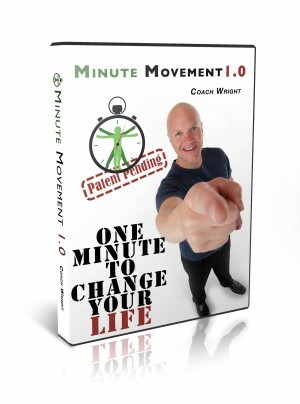 So I found the Minute Movement online and what a blessing it has been. I feel like everyone can give just a minute of time for their health. I’ve tried every diet and program out there, Minute Movement is the only one I’ve been able to stick too. Members receive daily emails with movements and encouragement to keep you motivated. Includes access to a personal, private member page with streaming movements and exercise modifications; as well as access to all downloadable and online tracking and movement descriptions. Our vision is a world where healthy living is accessible to everyone. That’s why we match each Minute Movement subscription purchase with a scholarship for someone who wants and needs the Minute Movement but simply can not afford it. If you are in need of a scholarship and will commit to the program please use this “Contact Us” form and tell us your story. 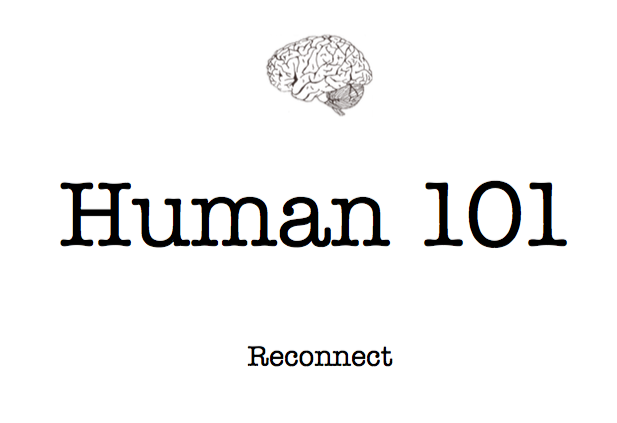 Our goal is to change lives – one minute at a time.